We’re filling the Saturday night with Big Bingo fun and huge cash prizes to be won every game as we host our new $125,000 Bingo Party. The party starts at the new earlier time of 7:00PM EDT in the tourney bingo room on Saturday June 24th. To kick things off, we’ve got up to $75,000 in cash prizes to be won as we play three top of the hour $25,000 Coverall Min $1000 games at 7:00PM EDT, 8:00PM EDT and 9:00PM EDT. These games have a card cost of only $2.50 a card. At 10:00PM EDT it’s Big Bingo time as we play for up to $50,000 cash in our $50,000 Coverall Min $10,000 game. All 1 to go Winners - $50 Free Play Bonus! This incredible bingo game has a card cost of just $5.00 a card and guarantees to create our next big winner with a minimum cash prize of $10,000 to be won. 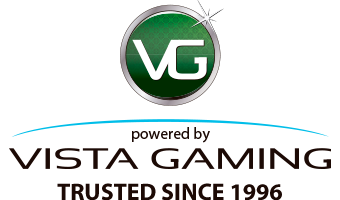 If you end this game with 1TG, you’ll still be a winner with a fantastic $50 free play bonus! Join us at CyberBingo from the new time of 7:00PM EDT on Saturday June 24th for amazing bingo fun and excitement in our $125,000 Bingo Party. If you’re not able to make it to the party… then why not preorder your cards and you could be logging in to discover up to $50,000 cash in your account.